Looks like something I would love to be able to eat! Your pie does look tasty, Ricardo. It’s an interesting combination. I’d try a slice. Mrs. chazt has worn me down and gotten me eating healthier, but TBH though, I’m generally of the opinion that greenery or fruitery doesn’t belong on pizza. But that does look tasty! There is green stuff on it...IT MUST BE HEALTHY! We are putting the finishing touches on our outdoor pizza oven. Taken way longer than expected but hope to have it wrapped up next weekend. (10-02-2018, 01:10 PM)jazzman Wrote: We are putting the finishing touches on our outdoor pizza oven. Taken way longer than expected but hope to have it wrapped up next weekend. That's great. Please post pictures when it's completed. I can do a piece of pizza. one piece. And lots of greens for a salad. I love both, I must be part rabbit. My girlfriend can not have cheese, much to my dismay, but it has brought in the pesto sauces to play. For those who would rather not click through, it's a tabletop pizza oven that uses wood pellets (like a Traeger grill) to heat up to 900 degrees F.
I've never made a homemade pizza dough (I've bought dough and made pizzas) but yet I want one of these regularly! So weird I know. I had my first piece of pizza yesterday since early June (it can no longer be on my normal diet). It was incredibly delicious! Unfortunately it was not homemade or I would have had more than one piece. Gig103, if you ever want to make your own dough, the best I've ever had is the Americas Test Kitchen version for slow rise dough risen in the refrigerator. It takes at least 3 days to rise, but I've gone as long as 2 weeks. The longer it rises the better the flavor is and it's nice to not be locked in to a certain date but to have a bit of flexibility. I'm going to share my pathetic pizza recipe. Quick and simple....Flour tortilla,pizza sauce,cheese, topping...oven preheated 400F, best with a pizza stone. Bake about 5min. I've heard of using a flour tortilla for the base before to cut down on the carbs. I think it's an acceptable trade off. (10-03-2018, 08:39 AM)Garb Wrote: My girlfriend can not have cheese, much to my dismay, but it has brought in the pesto sauces to play. 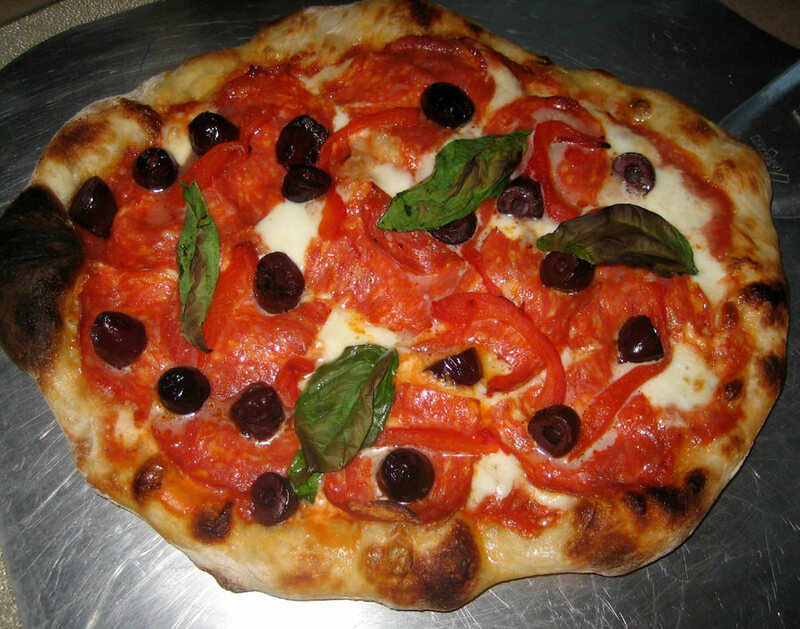 (02-08-2019, 03:48 AM)zipper Wrote: I'm going to share my pathetic pizza recipe. Quick and simple....Flour tortilla,pizza sauce,cheese, topping...oven preheated 400F, best with a pizza stone. Bake about 5min. 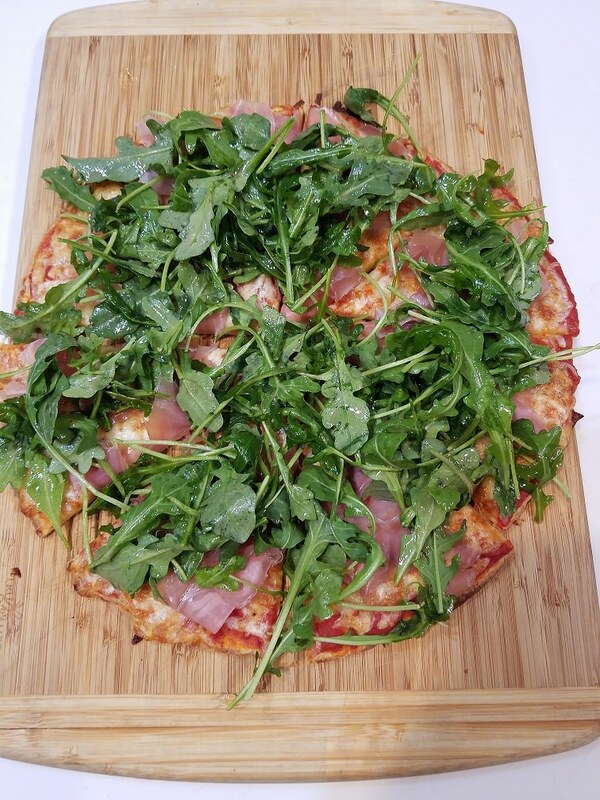 (09-26-2018, 02:26 PM)TheLegalRazor Wrote: Prosciutto and arugula. Had pizza for the first time last night in over a year since I went paleo because I finally picked up the cauliflower pizza crust at Whole Foods. Delicious!d. Ready to create a bunch of new recipes.